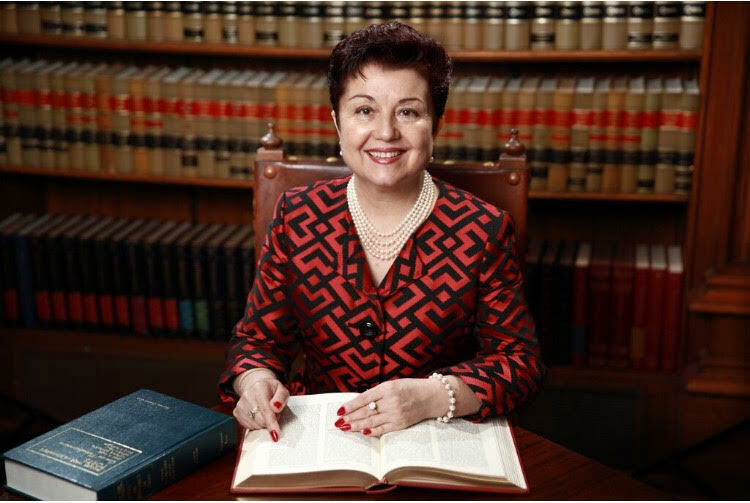 Virginia Prodan is an international human rights attorney, an Allied Attorney with the Alliance Defending Freedom, and a sought-after speaker. Virginia Prodan‘s compelling story of courage in the face of intimidation and even death on behalf of others is a testament to her unwavering faith in a God who delivers. Exiled from Romania since 1988, Virginia frequently shares her story as a keynote speaker in large public forums–including public and private schools and universities–and has been featured prominently in media reports. She was the focus of a full-length documentary and has been interviewed by Fox News, Heritage Foundation, The Daily Signal, WFAA-TV Channel 8, Dallas Morning News, Fox-TV 4, BBC Radio, Heritage Action for America, Glenn Beck, KCBI-Dallas 90.9, Point of View, and the Christian Science Monitor. Virginia currently resides in Dallas, TX where she enjoys practicing law, writing, opera, swimming, the symphony, and traveling for pleasure. She also enjoys her numerous speaking engagements, where she continues to inspire and impact lives with her incredible true-life story. She has two daughters, Anca and Andreea, and a son, Emanuel. TO SCHEDULE VIRGINIA FOR AN EVENT: please fill in this form.